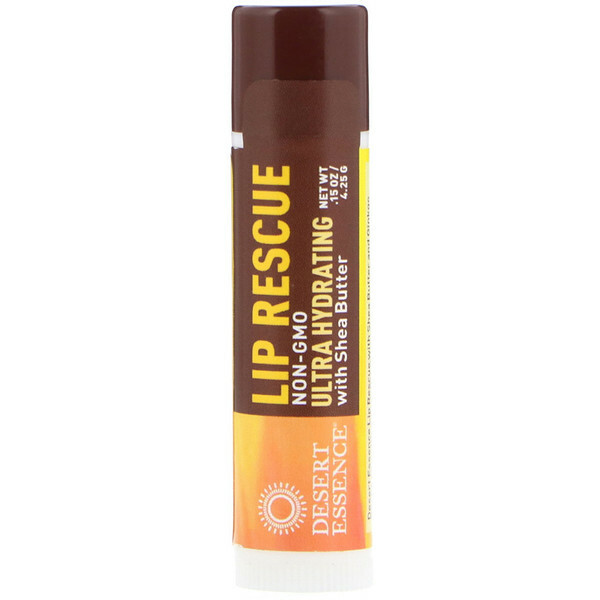 Desert Essence Lip Rescue with Shea Butter and Ginkgo Biloba smoothes even the driest lips. Shea Butter provides deep moisture to keep lips moist and soft. 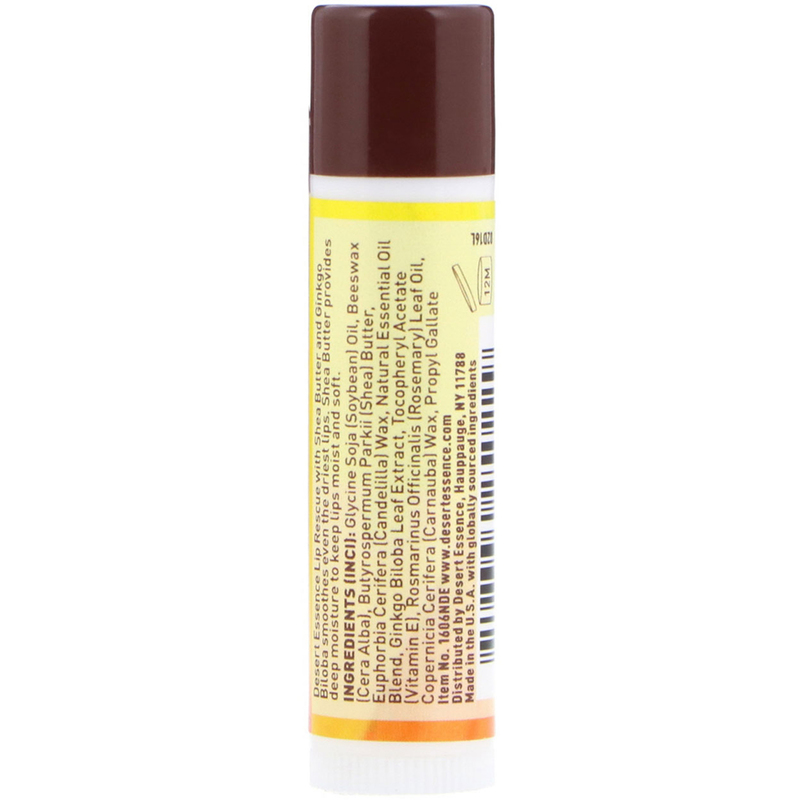 Glycine soja (soybean) oil, beeswax (cera alba), butyrospermum parkii (shea) butter, euphorbia cerifera (candelilla) wax, natural essential oil blend, ginkgo biloba leaf extract, tocopheryl acetate (vitamin E), rosmarinus officinalis (rosemary) leaf oil, copernicia cerifera (carnauba) wax, propyl gallate.